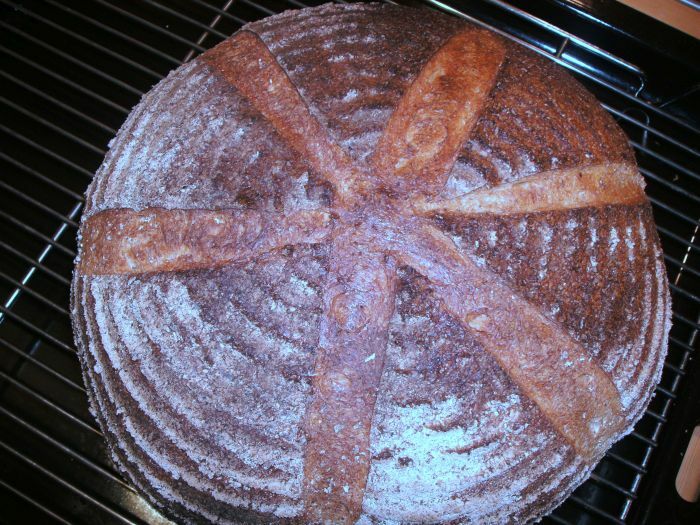 In January I posted this article on how to make sourdough bread. I was amazed at how much attention it generated. I was so pleased at how many people contacted me to say they’d started baking sourdough bread as a result. You’ll see by the button on the right that I’m now a member of the growing Real Bread Campaign too. Please check out their site for lots of really useful information. Since then I’ve talked, tweeted and met with an exciting bunch of enthusiastic bakers, amateur and professional alike. As a result, the way I make my bread has changed a little from the way I described, so I thought an update might be helpful. 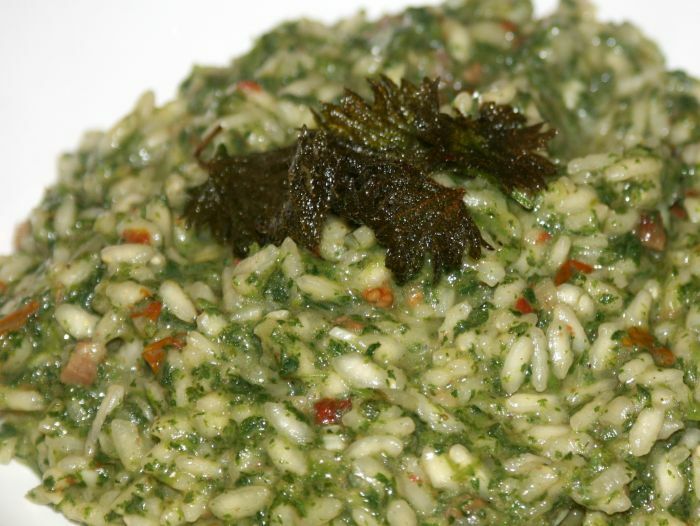 I’ve adapted a simple Georgio Locatelli recipe for nettle risotto to perk up your taste buds. I’ve added the bacon as a seasoning and the dried tomatoes for flavour and visual interest to Georgio’s basic recipe but you can easily make a vegetarian version by leaving out the bacon and substituting for the parmesan.